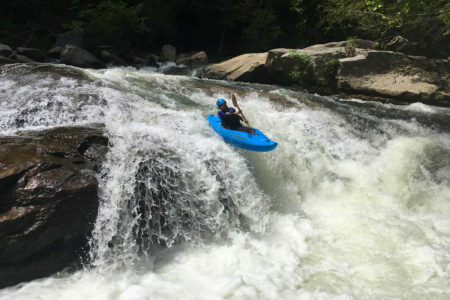 Living near Asheville, North Carolina, Christine and John Vogler regularly paddle the Green Narrows, a challenging section of whitewater on the Green River where the river funnels through a gorge. There are extremely narrow channels, many class IV+ and V+ rapids and waterfalls that leave little doubt as to why this stretch is regarded as one of the most extreme kayaking runs in the eastern United States. They are paddling pre-production models of our Vubu (orange in these photos, paddled by John) and Pungwe (blue in these photos, paddled by Christine) whitewater kayaks, which are fitted with prototypes of our light-weight composite outfitting. 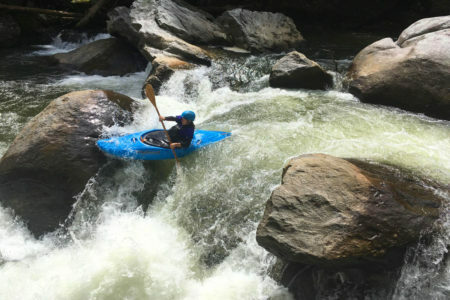 These are the boats that we took to the US for the Paddlesports Retailer show last week. Christine and John are tasked with working these boats really hard to provide valuable feedback so that we can tweak the final production models. 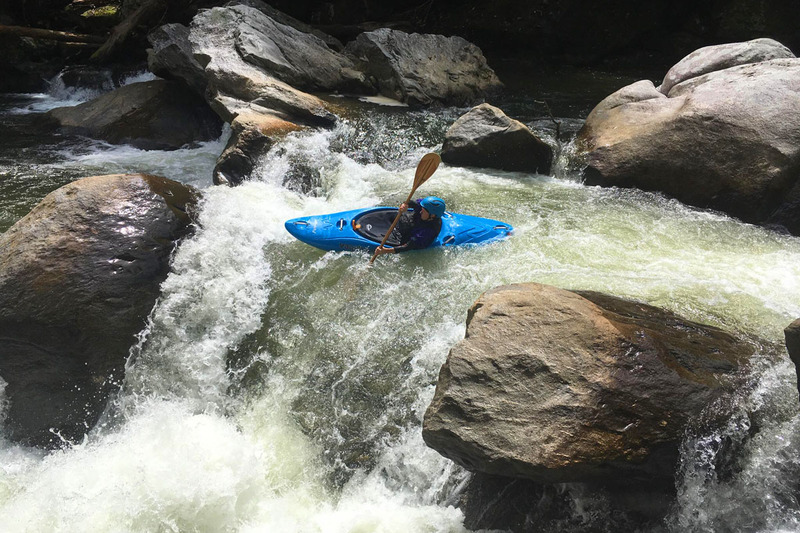 “A 7″ Green offers the toughest conditions anywhere for testing,” says Christine, speaking about the water level and conditions of the Green River. John says that he finds the Vubu to be fast. “He actually ran me over and that NEVER happens!” says Christine. John describes the Vubu as responsive and adds that both boats track really well. “I really like the volume distribution of the Vubu and the way it paddles”. 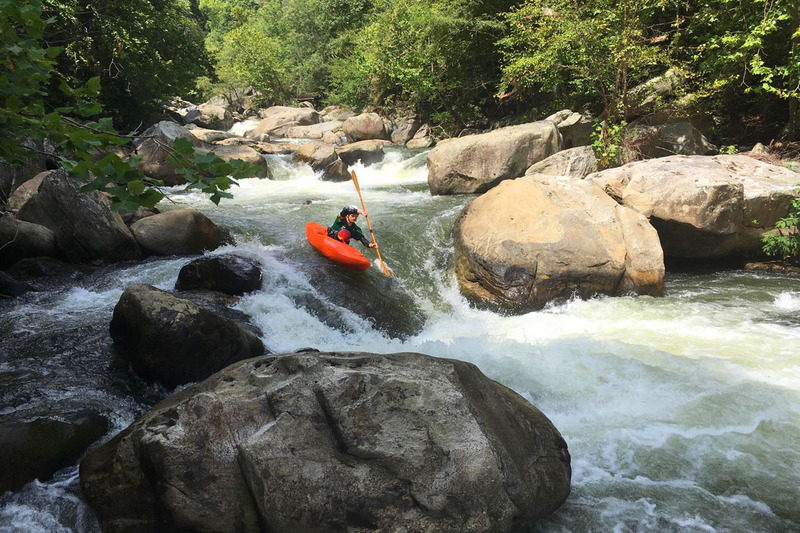 Their feedback to us already, after only two sessions on the river this week, has been incredibly valuable – we’re putting it to good use already as we continue with R&D of our new outfitting elements.